"Out of England’s pub rock wilderness, a debut with lots to say. A-." "I like the nerdy way this guy comes on, I'm fascinated by his lyrics and I approve of his rock and roll orientation ... B+." "Five Stars ... one of the great debut albums in the annals of pop music. 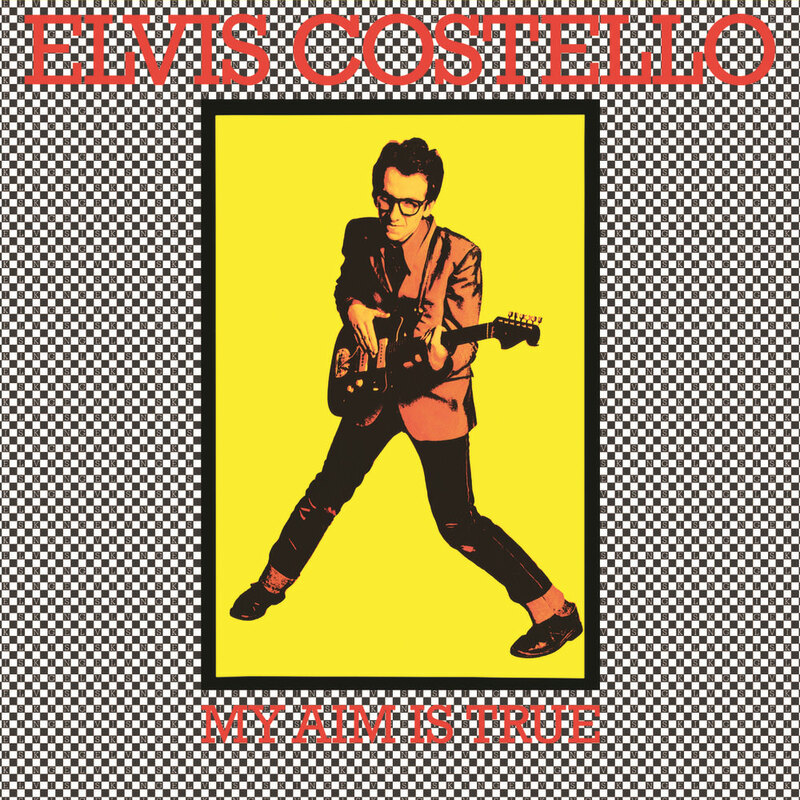 Balancing the rage of punk with the formalism of the century's best songcraft, the album delivers passion and intelligence in equal measure ... Costello shows himself to be a budding pop master ... one cannot but be charmed by the young Costello's charisma. For a short time in the late 1970s, Elvis was indeed king." Elvis Costello's Grammy Hall of Fame-inducted first album, released in 1977 in the UK, has been called one of the most impressive debuts in music history. Containing his first British hit single Watching The Detectives alongside songs like Alison, My Aim Is True has sold over a million copies worldwide and is included at number 168 on Rolling Stone's list of the 500 greatest albums of all time.